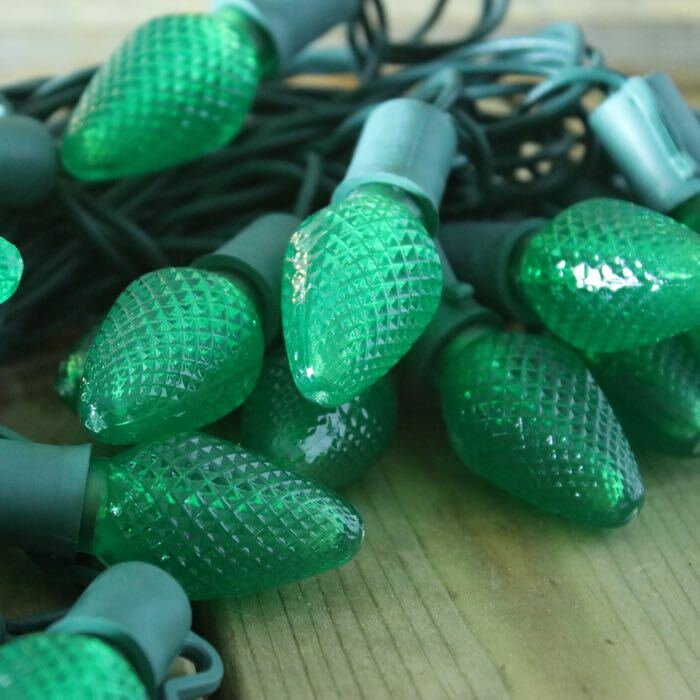 Christmas is the obvious choice for using green lights, but consider these eco-friendly lights for many other events during the year. March is the ideal month for adding a little green to your life. 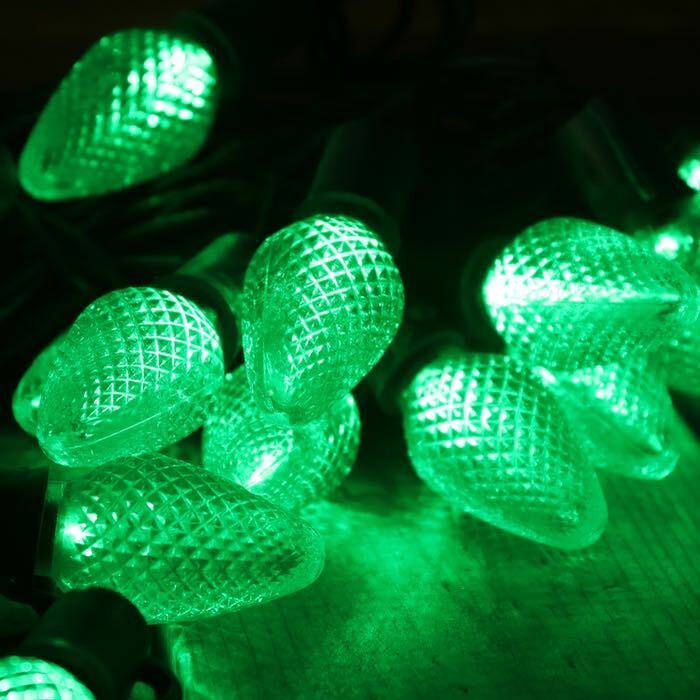 St. Patrick's Day celebrations will be elevated when you decorate with multiple strands of gorgeous glow. 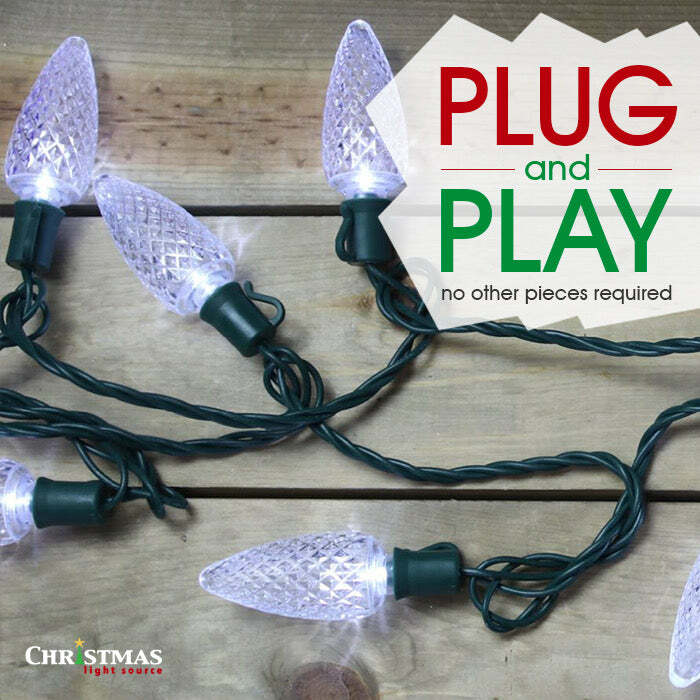 Mix these strings with red and warm white for a traditional Christmas display. With almost 17 feet of length per strand, these energy efficient lights can run up to 80 sets in a series! 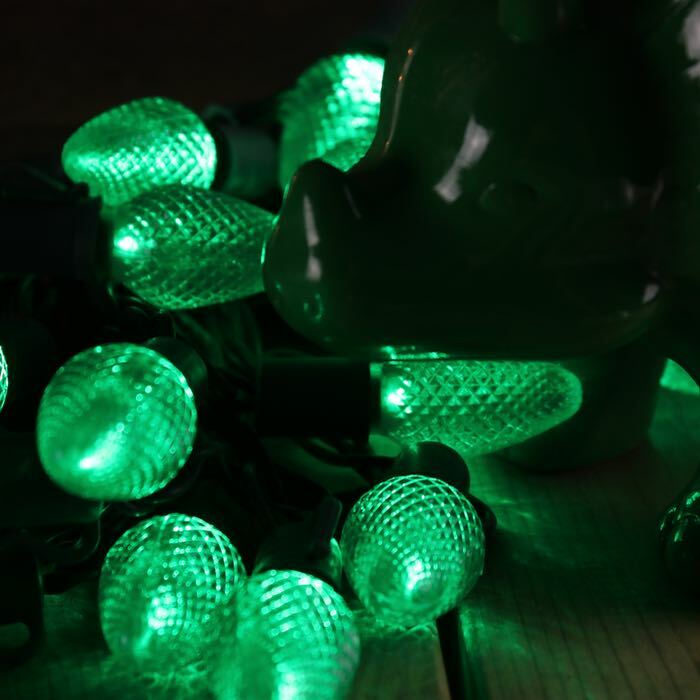 Celebrating a promotion - more "green"
This set, with 25 LED lights to the string and 8-inch spacing between lights, makes a great choice for a wide variety of projects. The bulbs in this LED light set are permanently mounted - they don't pull out or unscrew.